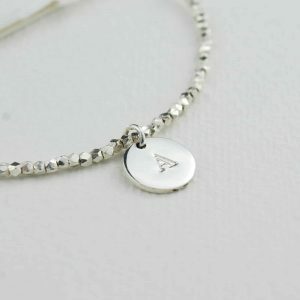 Personalised Silver double strand necklace with hand stamped letter of your choice and room for up to 4 more. Sterling silver nugget bead strand bracelet. Glistening geometric beads made from fine silver. 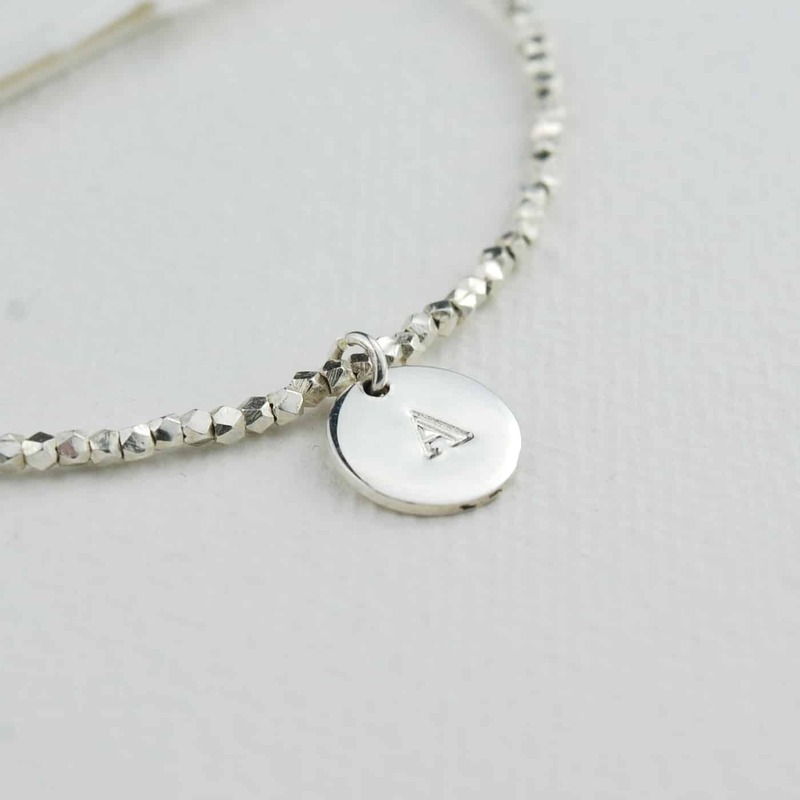 This beautiful bracelet wraps twice around the wrist and can feature up to 5 sterling silver discs, each personalised with the initial of your choice. 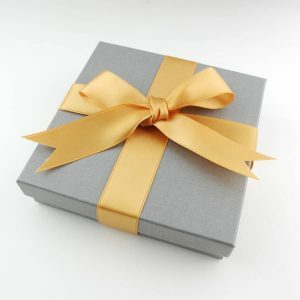 Closes with a sterling silver lobster clasp, and is made with solid silver findings. 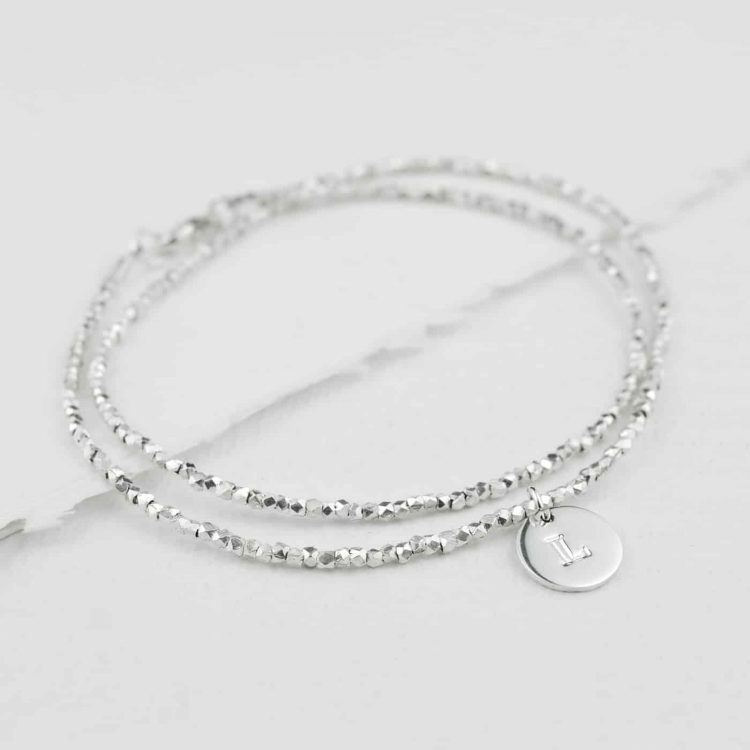 This sparkling bracelet works for any occasion, casual or formal. Create a wonderful gift for her by customising with initials that are special to just her. Made from 24ct Sterling silver silver facet beads and sterling silver findings. Dimensions: 17cm-19cm adjustable. Sterling silver discs 10mm diameter.